As low as $500 per month! Divorce, child custody, modifications and litigation. mediation, arbitration and settlements. Come in and talk with us. We’ve seen it all in the last 40 years. Custody, litigation, easy-divorce all the way to high-conflict divorces. We know how to help no matter what stage you are in of the process. We also make paying easier, simpler and smarter. With our firm you know what service you are paying for BEFORE we go to work for you. Easy-to-manage payments and great legal representation! Great lawyers and a manageable payment schedule. Call us for more information and to set up a consultation with an attorney. 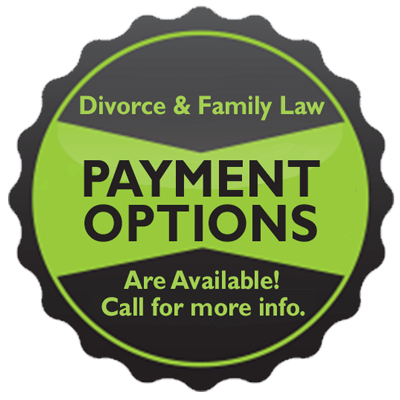 We can help you make sense out of your family law matter without having to stress constantly about how to pay for it.